JVS Career Services offers many different services regarding career goals and development including the administration of several different scholarship funds through an ongoing partnership with the Jewish Federation of Cincinnati. The Hilb Scholarship Fund has been administered by JVS Career Services since its inception. Gus Hilb established the Hilb Scholarship Fund at the Jewish Federation of Cincinnati in 1955 in honor of his parents, Mannis and Yetta Hilb. “JVS Career Services’ long-term partnership with the Hilb Scholarship Fund is committed to making funds available for students who want to further their education after high school and adults who want additional education and training,” said JVS Career Services CEO, Joni Burton. The Anne and George Heldman Family Scholarship Fund was established in 2009 by the Heldman family. It is designed for Jewish students who are graduating high school. Additional funds include the Saidel Award, the Guthman Award, the Graff Award, and the Weiss Award, each of wish are available to subsections of the scholarship applicant pool. Ninty five scholarships equaling over $215,000 were awarded for the 2016-17 academic year. May 1, 2017: Last day to submit an application for the 2017-2018 academic year and make an appointment for an interview with the scholarship administrator. Apply for a Hilb Scholarship here. Scholarship assistance is just one of the many services that JVS Career Services offers to students. The agency also works with students on career coaching, resume writing, networking, and interviewing skills. As students approach the end of their schooling, JVS Career Services helps students find internships or jobs after graduation. For more information, contact JVS Career Services at (513) 936-9675 or jvscareers.org. You can read more about Tamara Zmood’s experience with JVS Career Services here. 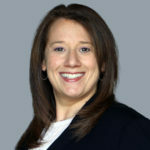 Dedra Perlmutter, CPRW, SHRM-CP, PHR, is a Senior Career Consultant and Human Resources Manager at JVS Career Services. Dedra provides extensive knowledge to clients in the areas of job searching, interviewing, networking, personal branding, image and career strategies. With almost 20 years of HR experience, in a variety of industries, Dedra is well-versed in recruiting and employment, and brings with her “insider knowledge” of what employers are looking for in potential employees. By leading workshops and working with clients individually, Dedra is able to serve as a resource for those that are looking to make a career change or to enhance their current career path.